Thermo-regulated (24°C – 27°C/75.2°-80°F) stainless still fermentation and maceration takes around 16-18 days during which a soft pressure is carried out every day. In French barrique and tonneau, of which 40% new oak, for 21 months. 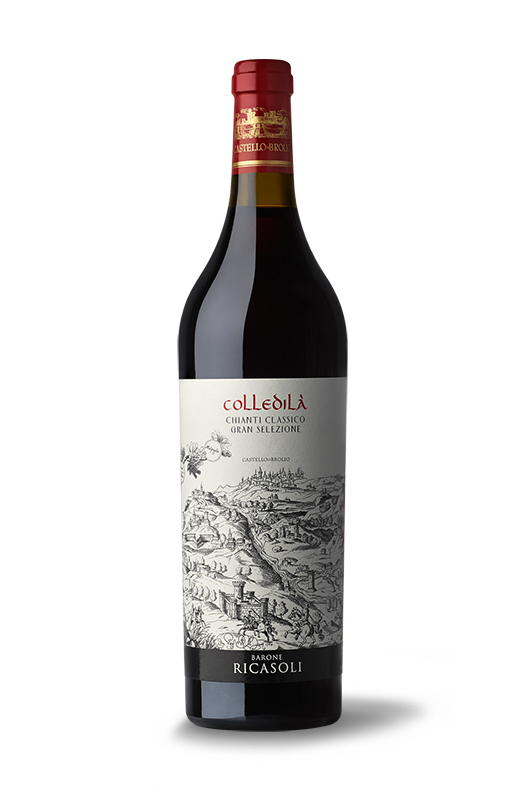 Colledilà is the grand Chianti Classico cru with a complex structure and outstanding modern elegance. Pure Sangiovese, it exalts all the magnificent gifts of this varietal, and the limited volumes of the Colledilà vineyard render it all the more exclusive. The 2012 autumn and the 2012-2013 winters were among the rainiest of the last few years. The real spring began on April 10th when it stopped raining and there was a sudden change in temperature with extremely high average day temperatures. Summer had begun with wet soils but the high temperatures and the sunshine accounted for homogeneous bunches. The year was shaped in September: summerlike temperatures during the day falling at night (with a 15°C difference between night and day) that allowed a perfect technological and polyphenolic ripeness. To sum up, a quality harvest with healthy, perfectly ripe grapes. The 2013 Sangiovese offers deep color and a remarkable structure. Delicate ruby red color. Complex nose, elegant, subtle and persistent. Aromas of violets, iris, mature red fruits and pepper, with notes of white chocolate. Velvety mouthfeel, full and warm, slightly savory, with soft tannins. Long and persistent aftertaste, expressing all the personality of the Brolio Sangiovese grape.